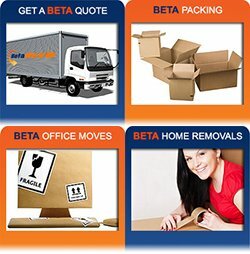 With the numerous removalists in Sydney, it can be hard to choose which one is best for you. But if you do choose Pro Removalists as your moving partner, you wouldn’t regret it for they can be a big help to the success of your removal. They only offer the best of the best services and they are always after your satisfaction. Planning is a key activity to the success of a removal. Weeks or even months before the actual relocation, you should already be planning on your approach. Of course, getting expert advice from removalists in Sydney is one way, but planning and organizing can be more efficient if done by you. As soon as you find out that you will be moving, start making a plan and schedule out the things you will be doing to make the whole removal organized. Included in your schedule should be all the important things needed before moving. Make sure that the span of time you will be placing is realistic and not too short which will make it more difficult on your part. Packing is very important when creating your schedule as it will be time consuming. At least keep a whole month in your schedule for packing where you would want to pack the less used things first and moving to the more frequently used items. The more days you have time for packing the better for it can be a big hassle if you only have a few days to pack all the things on your home or office. Don’t skip out the important things on your plan like contacting utilities to unsubscribe for their services. When moving homes or offices, it is also important to inform people or subscriptions about your new address so that you will still be receiving mail or items coming from them. Place them in your schedule at about two weeks before moving and make sure that you do not skip it. Another thing you might want to consider placing in your schedule is a yard sale. It is most likely that not all your things will be useful for you in your new home. Instead of just leaving it behind, it would be better to sell it in a yard sale which can help generate profit that you can spend for relocating. A rule of thumb is that all those things you haven’t used for more than a year means that you do not need it anymore which makes them candidates for selling. If you would need help in planning or organizing your relocation, you could ask removalists in Sydney for their advice. Pro Removalists can give you the most efficient guidance in relocating and they also lend their time and hand as you go through the stressful days of moving. When looking for a moving partner, there are certain characteristics we should find in a company to make sure that they are indeed professionals. These characteristics will help us choose a better company to work with and avoid getting scammed. Moving is already problematic on its own, and we don’t want any more problems to add to that. The question is how are we going to know if that company we want to work with has the qualifying characteristics that we are looking for? Pro Removalists is a professional removals company in Sydney that has been providing quality moving services for years and now we are going to tell you some of the qualifying characteristics that a reliable moving company must have to ensure that we are working safely with them. Professional movers are polite and friendly. They will be the one to offer help to their clients and would gladly open a conversation and provide information. Otherwise, if the mover poses impatience and unpleasant attitude, then you might as well look for another company as you may find future issues with these types of movers. The attitude of your mover place an important role in hiring them, you’re moving should be respectful and accommodating enough to answer all your inquiries with patience and in a very friendly way. Professional movers are show dedication to their work. If you see that there are signs of commitment to a moving company, then it is guaranteed that they are a great company to work with. When a mover shows dedication and commitment, it means that they love what they’re doing and you can be assured that if one loves their job, they’ll perform well. A reliable moving company is made from experience and knowledge. You may find moving companies claiming to be professionals but have very little experience yet without experience; a moving company may not know what to do when faced with problems. A moving company must also have sufficient knowledge regarding moving so they can immediately think of solutions for potential issues. Lastly, a company should be trustworthy. Trust between the client and the company is very important. If the company is not trustworthy, it may cause trauma to the client and may not hire a moving company anymore. Also to the company, if they are found to be unreliable, it will lead them to failure. Avoid being scammed, so make sure to always trust professional movers only. If you are looking for a company who possess these characteristics, then Pro Removalists Sydney is your perfect moving company. 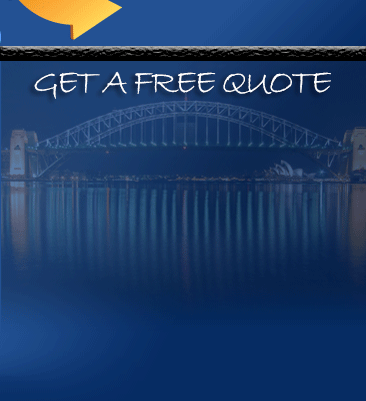 We are indeed professionals and the best removalists in Sydney. We provide quality services and we have years of experience that we use in providing great moving services. 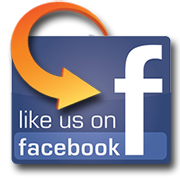 Hire us now and experience the best of moving!